Create a dazzling reception look with dinner napkins. Our soft, three-ply dinner napkins are available in a variety of colors. Your choice of design may be printed above your names and wedding date, which are printed in your choice of font and foil color. Size: 6 1/2" x 6 1/2"
I promise I NEVER leave reviews for anything, but this impressed me so much I had to share it! Bought this when they had a 30% sale, best price I could find after days of looking online. The color turned out exactly as in the picture, the quality amazing. I did the gold foil and it is engraved!! They just have so many font and design options, they let you preview your design every step of the way AND they let you use international characters which is what I needed. Despite being a personalized product it only took 7 days to come in the mail. Will definitely recommend to friends and family, and will definitely shop here for all my events. I have never received a package that was packed with so much care and detail. The items came in perfect condition, lots of air bags, good quality box for the napkins, some stickers I got came in a big sturdy folder. I am in absolute awe. Thank you so much! You have left me impressed with your products, your service, your pricing and your delivery. And your shipping was so fast! To get personalized items in 7 DAYS from ordering is unheard of. My husband purchased these cocktails napkins for my 60th birthday party. They were used when the cake was served. Of course, some guests took some home for souvenirs. They are durable and add a big splash of color in any space for any event! The napkins that we ordered were perfect. And what a bargain! I will be ordering from this site again! Awesome Napkins for a great price and got them fast! The service and quality are awesome! I purchased these for my wedding they are wonderful! The napkins were just as I asked them to print them and they were really nice! They were delivered very quick! This was a surprise since most take more time. Was very satisfied. The price, efficiency of the process and the quality were spot on! I had made a mistake on the date of the coordinating napkin and they called immediately to confirm the correction. Beautiful and good quality. For brides I would suggest a few pretty napkins but mostly plain napkins. I wanted a few pretty ones as a keepsake. Really fast. Came before I thought it would come. FOUND THEM TO BE STRONGER THAN PAPER TOWELS. THE COLOR WAS SUNNY AND BRIGHT. THE LETTERING WAS DONE NICELY. Love the Napkins -- they are perfect!!! Just what I wanted. Thank you. I loved that I could get the colors I needed to match my wedding!!! I purchased these without customizing, since I couldn't find grey napkins anywhere else. I haven't actually used them yet (event will be 9/28/14), but I really like them. They look durable and will be a good addition for my reception. I did however buy personalized canary yellow napkins from Ann's Bridal Bargains, and I can't recommend them highly enough. We personalized them and they turned out perfect. I can't wait to use them for my wedding! You can't go wrong with buying your napkins from here. Highly recommend. I actually called customer service to order the grey napkins, since I didn't want to personalize them. The CS agent was super helpful and helped me through everything. I had a coupon since I purchased from here before, but because I was just ordering plain, the price was 30% lower than if I had even used the coupon. What a great surprise. Shipping was extremely fast (I had both of my orders in less than a week) and the packaging was perfect. It's so nice to have good shipping and customer service when you order online. Bravo! I place my order on a Sunday night and I could not really make out the color of the print. So Monday morning 1st thing I called Customer Service they were wonderful. I ordered the wrong color print and they changed it for me. Plus my order had the names switched around and they fixed that too. I received my order with 7 days. That was fast for a personalized order. The napkins are so pretty. I have not used them yet my wedding is not til June. Yes I will be ordering more stuff from Ann's. I loved to be able to design them. I have been a designer for over 30 years, so I am picky about how things look. You have so many Typefaces & Clip art pieces to play with that it made it VERY easy to add my custom touch.They turned out Beatiful! My Bride was so..... pleased. Thank you! I ordered some grey dinner napkins for my wedding reception in December. I ordered them in September, and they arrived very quickly. They were packaged very nicely. The napkins were a nice surprise, because I was not expecting them to be as lovely as they were. I did a design on mine, and I loved it. They are very reasonably priced, and the napkins are good quality. I would buy these napkins again, and I would recommend these napkins to any bride friends. Love my sage clover napkins! The napkins were exactly as described and adorable! Love them! Great price and they turned out really nice! Prompt delivery in excellent condition. Excellent costumer service too! The design choices were so much better for the price than any other site. There were fewer napkin color choices however and although the color name (hunter) was accurate, the napkin pictured is more of an emerald green. So if you are seeing a difference between the picture and name, trust the color name. Despite choosing the "center" option, the design was off center because it was printed at a slight angle. However this barely detracted from the overall look and few people even noticed. They turned out very elegant and I was very happy overall. Shipped fast & in perfect shape. This is for a dessert reception 2 weeks after the wedding. Delivery was very speedy! I was having a hard time deciding on napkins. I tried numerous places was worried about colors matching. The customer service here is way beyond helpful. The lady I spoke with gave me suggestions and then sent me free samples so I would know the colors were perfect. Then she suggested going with a different ink color to tie it all together. The napkins are super soft and turned out beautiful. The easiest and best purchase for my wedding so far. THANK YOU ANNS BRIDAL BARGAINS! Arrived within 3 days of ordering. These are well made napkins. Not flimsy at all! And they had the exact design for my wedding. And much cheaper than other sites I have seen them on. Great napkins for our church's 25th anniversary dinner. I ordered these for my wedding reception and am very happy with them! The color and type turned out just like the website depicted, and the ordering process was very easy. The shipping was also very fast. I will be happy to recommend Ann's Bridal bargains to friends. A great touch to any wedding. It is soft and thick. True to color chosen. It had a lot of color options. Would like to have had more font options along with a smaller size cocktail napkin instead of only having one size to chose from. Delivery was very prompt and well packaged. I am planning wedding for a dear family friend. The napkins needed to be just right and they are JUST RIGHT. Thank you, one less thing to worry about. I am using them at my wedding. Bought these to fit in with my fall themed wedding reception. My colors were truffle, sage, and ivory. These ecru fit right in with the ivory and the chocolate colored foil looks so nice with the bare tree design. I bought these napkins for my wedding. They were a very competitive price and very good quality. Highly recommend this product to anyone getting married on a budget. Great napkins for our 50th year reunion. I was a little worried about ordering on line, but the price was right and I had them in less than a week. They are very nice and will work perfectly for my outdoor wedding. I ordered the napkins for a wedding that I was coordinating and the couple was very pleased with the product. These napkins came out great for my nephew's wedding this past week in April. Great value and cost and I will definitely recommend to others. Will be a great addition to the decor. Ordered these to be served with our wedding cake. They are so pretty in Lavender. Thank you, Ann, for the free color sample to make sure the color choice was correct before ordering. I ordered our napkins for our wedding reception and they are just what i expected. I liked the napkins and they were of a good quality and great value. I ordered these for my wedding reception in April and they are beautiful. The personalization options available are unmatched and the price was awesome. 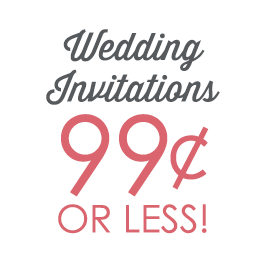 I researched personalized napkins extensively and Ann's Bridal offered the highest quality item at the best price. I am very happy with my purchase and I know our guests will be impressed. I bought these napkins for my wedding in March. Online, when I went to personalize the napkin, the color changed from the dark purple to a plum color so I had some concerns, but when they arrived yesterday, they were the perfect dark purple I had wanted, & they are so beautiful! The value of these napkins are hard to beat & the quality is top-notch. I would definitely recommend this product & this web-site to everyone. We bought these for our wedding. They look amazing! I bought these napkins for my wedding in March. Online, when I went to personalize the napkin, the color changed from the dark purple to a plum color so I had some concerns, but when they arrived yesterday, they were the perfect dark purple I had wanted, & they are so beautiful! The value of these napkins are hard to beat & the quality is top-notch. I would definitely recommend this product & this web-site to everyone. This product arrived within a week & was very prompt. The napkins arrived in perfect condition.